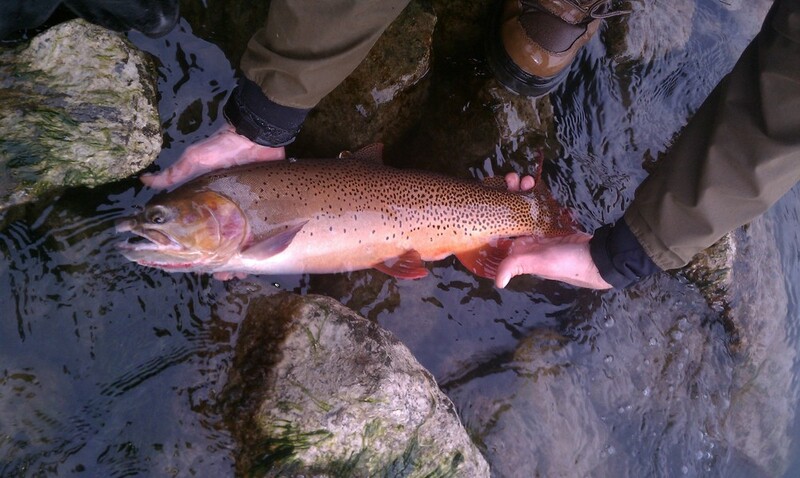 Fishing in the area has been excellent this spring. The Snake River in particular has been on fire. The water has been clear and the fish have been looking up for small mayfly and midge dry flies around midday. These same fish have also been willing to take midge droppers and eat streamers. Streamers have been especially effective if there is any color in the water from low level runoff. I've been fortunate enough to be doing some guiding recently and we've been getting into fish that are averaging 14-16 inches in size with many of the fish podded up eating dry flies and nymph droppers. Griffiths gnats and small parachute adams in size 18 have been working well, fish these on 4x tippet as the fish aren't too picky this time of year. No need to break off fish unnecessarily because you're fishing too small a tippet. The fishing should stay good from now until runoff hits, most likely sometime in the next few weeks.